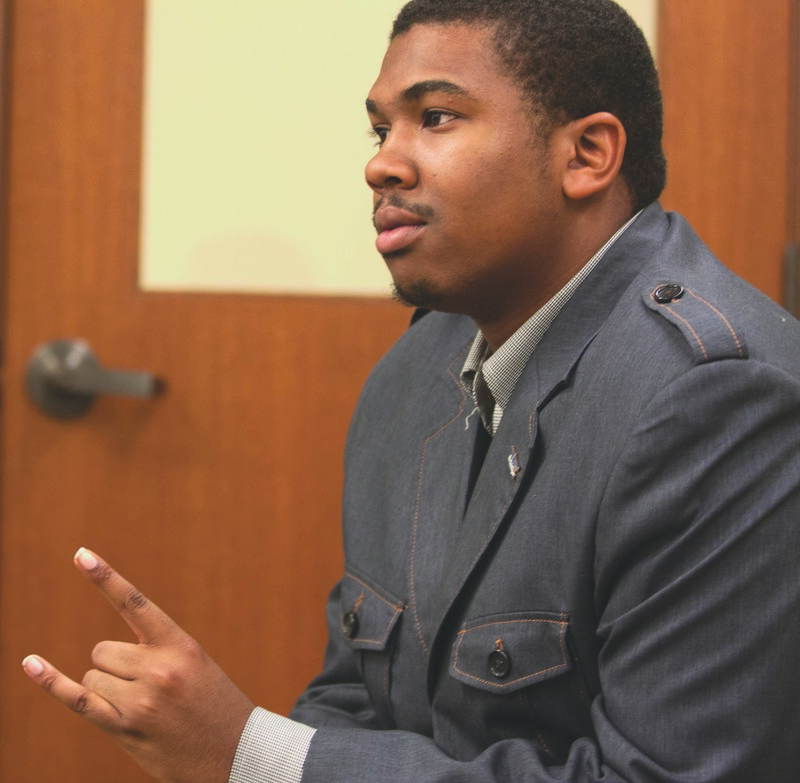 A Webster University student is chartering an international fraternity chapter under Gamma Eta at Webster. Steward Stiles, senior education major, said though other Greek organizations have failed in the past, he thinks his will survive. He is an active member of the international chapter of Phi Beta Sigma, the fraternity he plans to bring to Webster. Stiles said his commitment is what will make his chapter successful. Phi Beta Sigma represents men of vision, service, culture, as well as men of leadership and promotes diversity, Stiles said. Phi Beta Sigma solely operates on serving the community. Leaders like former President Bill Clinton, civil rights activist Al Sharpton and actor Blair Underwood are active members. Stiles said dedication and maintaining a 2.5 GPA is required to become a member. He said how someone behaves plays a big role in who he recruits. Phi Beta Sigma fraternity held its first meeting Monday evening in the East Academic Building. A few long-time fraternity brothers from the international chapter came out to show support and talk about the importance of joining the organization. Missouri State Director of Phi Beta Sigma Roger Hines said he would do anything necessary to support the chapter at Webster. Phi Beta Sigma has helped Stiles find a teaching job and obtain a $1,000 scholarship. Stiles enjoys the advantage of networking with his fraternity brothers all over the world who are willing to help him meet success. But more than anything, Stiles just wants to be a positive example for young men. “I want to set the bar at ‘I can do this and you can do what I do better’,” Stiles said. Fraternities at Webster launched in the past have failed due to a lack of connection with their members. The process of starting a fraternity begins with an interest group. An interest group consists of no less than 20 people who want to be a part of an organization. The group then decides which fraternity they want to charter. Junior public relations major Darren Lewis attempted to start a fraternity at Webster last year, but it failed because there weren’t enough dedicated members. Lewis said he did everything in his power to make the fraternity successful, but that it was hard when only two people were serious. Webster’s only sorority, Delta Phi Epsilon has been successful so far. Katie Maxwell, senior sociology major and a member of the sorority, said the reason the sorority is successful is because of its structure. Maxwell said Delta Phi Epsilon divides their sorority into groups with an assigned vice president for each responsibility.